Have you ever see a Haka? 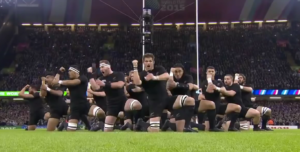 Why do the All Blacks execute this ritual before starting their rugby match? To impress the adversary? Maybe. Actually what they are looking for is to ignite a common energy in the TEAM; it is preparation to SUCCESS. How do they prepare collectively for success? Those guys don’t enter the field just to spend the day… the All Black do the Haka ritual to remind themselves they came to WIN. They prepare their EMOTIONS, their BODIES, their LANGUAGE to 1 thing: TO WIN ! Would you like your teams in Retail or in the office to start their day like the All Blacks, getting PREPARED TO WIN, preparing their EMOTIONS, their BODIES and their LANGUAGE, TO SUCCEES? This is the ritual of the MORNING BRIEFING. And you, how do you start your day? How efficient are the briefings in your organization? It’s a ritual; so, it always happens at the same time and same place; typically in the morning but also in changes of shifts. All participate; it can’t be a monologue. We should hear everyone’s voice. Create a buzz and finish with a bang, a War Cry, or a song. What are you going to focus on today, Peter? And so, what about me? If my direct team is in 10 different stores? Maybe you are a manager who manages a large chain. What about your briefing? Have you ever tried a briefing via Facetime or Skype? Or sent a video message via Whatsapp? Javier, are you not entering the amphitheater? Conference starts in 2 minutes. Yes, I am coming. Just finalizing my morning briefing with the team! WOW! 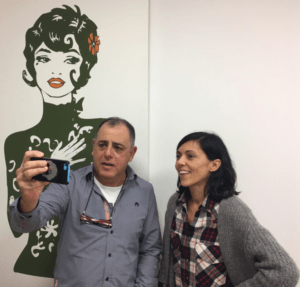 Javier and Marta, the retail manager, manage 28 stores. Thanks to technology, they keep this daily contact with the teams in store through those morning briefings. What if the main role of a manager would be to set the energy at the beginning of each day?